When we were in school many of us had preferred teachers, those who engaged us and made learning fun. And we remember the lousy teachers that had no business teaching anyone. We don't assume teachers are created equal and that is no less a fact with driving instructors. It's not as straightforward as Googling 'Driving Lessons Enniscorthy' and picking the first driving school you unearth. Who will you have faith in to provide you with that fun and engaging experience? Of course you should decide on a driving school that has a great reputation. A driving school that gets people over the line consistently. 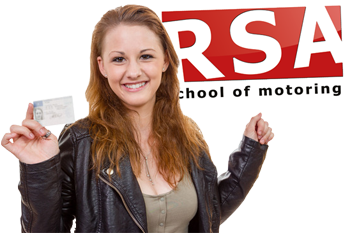 RSA School of Motoring have the precise reputation for pupil success we have been referring to and we have the verified reviews to show it. So if you need driving instruction you would be getting a jump picking us. Let us explain to you why. Our instructors have been trained to immediately figure out what standard you are at, where your bad habits are and what corrective actions need to be taken to ensure you build the most progress possible from each driving lesson with us. As well as this higher standard of driving instruction you receive on driving lessons with us we also have our email training guides, tutorials and support material, all mailed routinely straight to your inbox. We have seen pupils routinely advance faster using our home study support content. You’ll uncover everything from guidelines to better handle your maneuvers to in depth material to support you through all of your EDT syllabus. No other Enniscorthy driving school delivers such a comprehensive service as this. When you begin your driving lessons in Enniscorthy it should be in a nurturing environment. There certainly should not be any yelling involved. It's our obligation to make sure you are happy in the driver's seat. Which explains why our instructors get that little bit extra training above the standard level you'll usually see out there. Driving instruction is about being attentive and reacting to your needs. And this is precisely where the expertise of our driving instructors is centred. Bridging the gap and transforming a nervous learner into a safe, confident driver. Which group do you fall under? Either you have your Essential Driver Training done and need to get ready for the test. Or you have never driven before and need to get your Essential Driver Training underway. You may not know but many years ago Ireland had one of the worst road accident stats in Europe. To help stem these statistics the Road Safety Authority unveiled a brand new and obligatory driver training initiative for first time drivers. The Essential Driver Training or EDT. This Essential Driver Training Syllabus mandates that all students must finish a minimum of 12 hours of essential driver training by an RSA approved driving instructor. These 12 driving lessons were developed with the goal of filling in the vital driving skill gaps that new drivers had that have been leading to the high level of road accidents occurring each year. There is studying the crucial driving skills and developing your knowledge of road signs and road safety. And then there is understanding how to successfully pass the driving test. 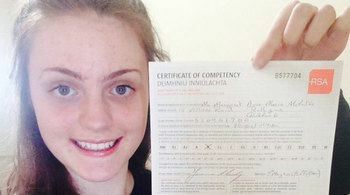 Being permitted to drive alone on Enniscorthy roads is a privilege you will need to prove you can have and the driving test is your opportunity to do it. And obviously, as with virtually any test, if you are familiar with the conditions and what to anticipate you can successfully pass effortlessly. If you have to prepare for the driving test then your mind is probably a wash with different feelings. Fear of screwing up, concern with nervousness getting the best of you or just fear of the unknown. The good news is there's no need to fear any longer. Our pretest driving lesson packages have been polished over many years to give you a rich comprehension of what will occur on test day leaving you devoid of any doubt or fear. We don’t like leaving things to chance. We simulate for you all 4 phases of the driving test, coach you on all the test routes and concentrate on the areas of your driving that are most likely to get you the most marks or fail you. Using this approach we get our students past the test in half the time it takes other driving schools. Passing fast means you save money. Did you know that 10% of all driving tests stop before they can begin because pupils turn up with a car that isn't safe to drive. Damaged car tyres, problematic lights and improper insurance are just a few of the reasons tests fail to go ahead. We always recommend that you hire a reliable driving school car to guarantee that your driving test goes forward and you send the right message to the driving tester. Book your pre-test & car Hire Deal with us today. 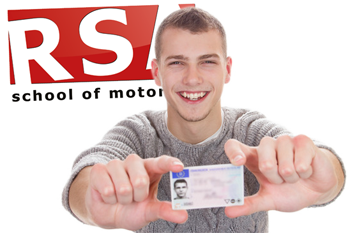 With RSA School of Motoring your Enniscorthy opportunity to learn to drive doesn't just start and finish in the car. We've developed our unique learner driver support course sent direct to your inbox on autopilot to provide you with support through your Essential Driver Training program up to your driving test. Why? Because not all driving schools are made equal. Do you have female driving instructors in Enniscorthy? Looking for a female driving instructor for your driving lessons in Enniscorthy? No problem. It is possible to take your EDT or pre-test lessons with one of our female driving instructors. Give us a call to book in. We want your driving lessons to be handy and simple to do. And for that reason we can commence and conclude your driving lessons from anywhere you wish be it your Enniscorthy home or place of work. We certainly do. And trust us, for a young person that is itching to obtain their independence there is no more thoughtful a gift. Make someones day extra special with a Enniscorthy Driving School Gift Voucher from RSA School of Motoring. 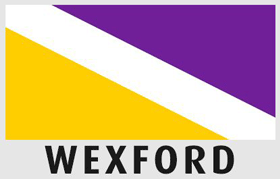 We wouldn’t be Wexford’s most successful driving school if we did not. We can offer all our pupils driving lessons in automatic or manual dual-controlled driving school cars anywhere in Enniscorthy. Contact us for details. We would be proud to help you learn to drive so contact us today to talk about your driving lesson needs. We won’t let you down.